Honda has received two Best Resale Value Awards from trusted vehicle valuation source Kelley Blue Book www.kbb.com. 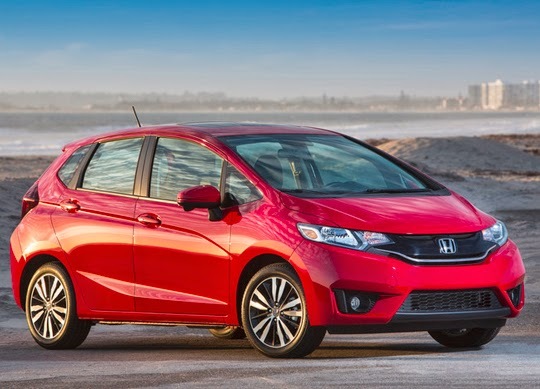 The 2015 Honda Fit (automobiles.honda.com/fit/) earned the top award in its segment for projected resale value after five years of ownership. Additionally, the 2015 Honda CR-V (automobiles.honda.com/cr-v/) was honored as one of the overall Top 10 Best Resale Value vehicles in America. "The Fit is a premium small car with a healthy appetite for passengers and cargo, representing tremendous value well beyond its exterior footprint," said David Hendley, assistant vice president of sales at American Honda Motor Co., Inc. "It's great to see the all-new Fit, our brand's entry model, join the much-honored CR-V among KBB.com's Best Resale Value Award winners this year." Kelley Blue Book's Best Resale Value Awards are based on projections from the Kelley Blue Book® Official Residual Value Guide. These prestigious awards honor vehicles expected to maintain the greatest proportion of their original Manufacturer's Suggested Retail Price (MSRP) after five years of ownership. Since depreciation (or loss of value) is typically a car buyer's primary expense during ownership, these awards are designed to help consumers make more informed car-buying decisions. For more information about Kelley Blue Book's Best Resale Value Awards, please visit: http://www.kbb.com/new-cars/best-resale-value-awards/.